This looks like a perfect holiday drink. I love cranberry juice. I would love to try this. What a great idea for a winter drink. I usually have a bag of fresh, frozen cranberries. I love a good white wine, but not so much red. I’m sure the flavors in this will help me appreciate a nice red. I can’t wait for the day where I can drink again. I’m just on too much Aspirin right now. This looks so good! 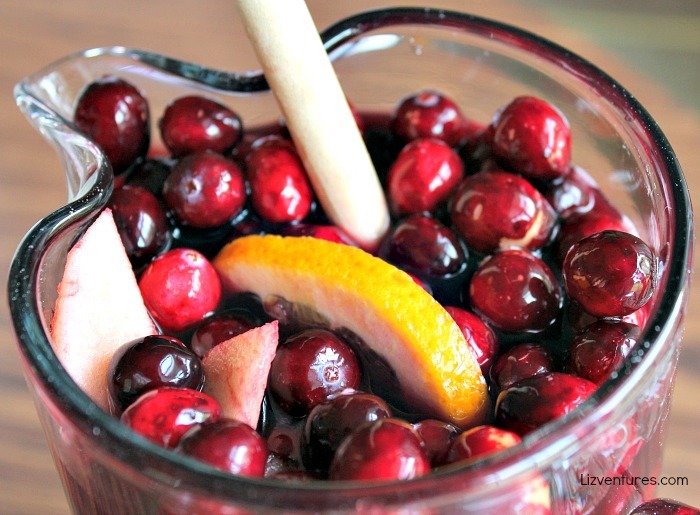 Wow, what a great Sangria for Fall and Thanksgiving and holidays! It’s such a pretty color, too. Thank you for sharing your post at the #HomeMattersParty this week. We hope you’ll join us again when the next party goes live this Friday at 12AM EST. I love sangria and this is such a fun, festive holiday twist. Now this looks like a delicious drink, looks perfect for Thanksgiving. I have to try this one! how much sugar should I use if I don’t use artificial sweeteners? Hey Gabby! That would be equivalent to 1/4 cup granulated sugar. I didn’t see where it said to add Sweet n Low???? I would love to have this for the holidays! I order sangria in restaurants all the time, but never make it at home. Your recipe looks so good. I love the addition of cranberries for the holidays. Yes Yes Yes! I need to make this for this holiday! It’s such a great idea and so affordable. You are so right… that looks refreshing and delish. I would not have thought of doing this. Will be trying that soon. Oh yum! Yes please, mommy would love to have some of that during the holidays. =) Great recipe! My goodness this looks absolutely delicious & so much refreshing as well. 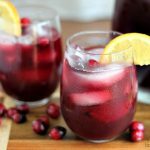 I love anything with Cranberry & the Sangria recipe looks like a wonderful choice for holiday party. for photos are amazing every things looks soo yummy. i aslo i love sangria. nice post. Never had Sangria in ages. Will definitely make some this Christmas. Love cranberries. Oh, this sounds so yummy and it’s pretty too! Sangria is my absolute favorite and any occasion is good enough for me. I will be all over this one. yum! I love to make mocktails on the weekends. Thanks for sharing the recipe. By the way, I’m curious about the camera you’re using. What brand is it? I’m planning to replace my old DSLR..
Looks delicious and refreshing. Great wine for a great night. Ooooo this sounds really delicious! I would love to make this for myself with some extra fruit! OMG that looks amazingly refreshing! It’s definitely sangria time! This drink looks delicious! When we buy red wine it is a Malbec too. I never thought to add cranberry juice to it, but next time I will. That looks very refreshing. I hoave never had a sangria before. looks tasty! I love using Sweet n Low, and this sangria looks so good! And it’s perfect for Fall! I love cranberries. Your drink idea is perfect for the holidays since cranberries are now in season. 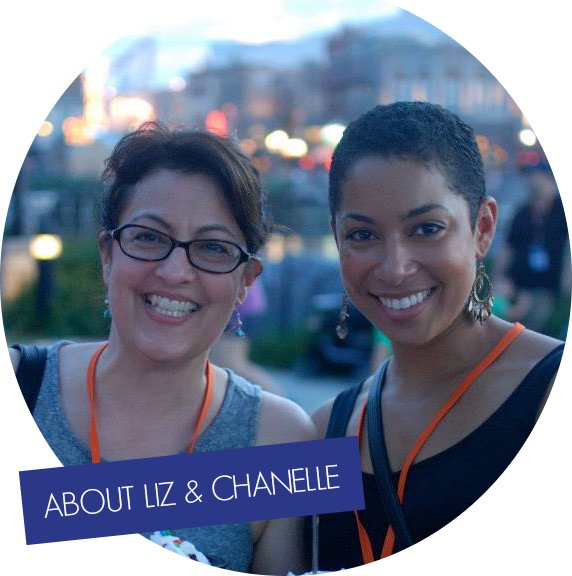 I like this so much, in fact, I added to MommyBlogExpert’s Cocktails Pinterest board too. I love the winter twist. I would love to try this with fresh cranberries. This would be the perfect signature cocktail for our Thanksgiving meal. The Hubs and I were just saying we wanted to do drinks instead of just wine with dinner for the holiday – love it! This is so festive! I love Sangria at any time of year and you’ve added such great seasonal flavors. This would be great for Thanksgiving! 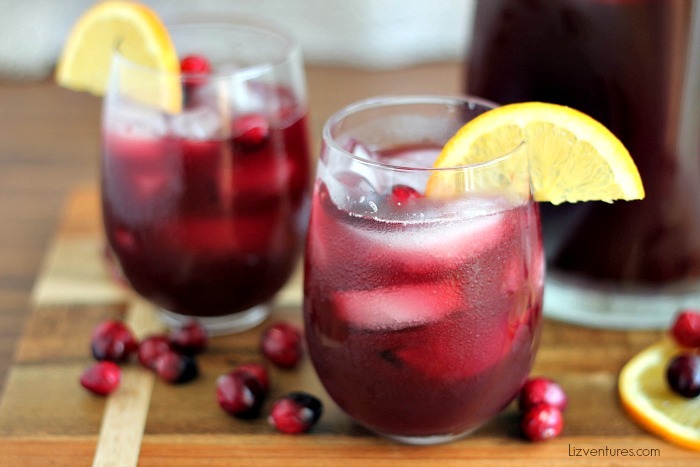 I love a good sangria and this one is pretty and very fall-like with the cranberries! Great recipe!! I LOVE sangria! This looks like a great recipe I will have to make it. That looks not only delicious but beautiful! Great photography 🙂 I love how festive it looks, I have a white wine option so having both to offer would be so cheerful and compliment the holiday decor too. Looks yummy! Sounds like a great drink for the holidays. This sounds delicious! I bet it would be a hit at our family Thanksgiving. Looks refreshing! The color is beautiful and definitely holiday worthy. I agree! The color is perfect for Thanksgiving and/or Thanksgiving! Very festive! Oh yes! I love Sangria…it’s actually one of the only alcoholic drinks I have every now and then. Great idea for Thanksgiving! This sounds fantastic! 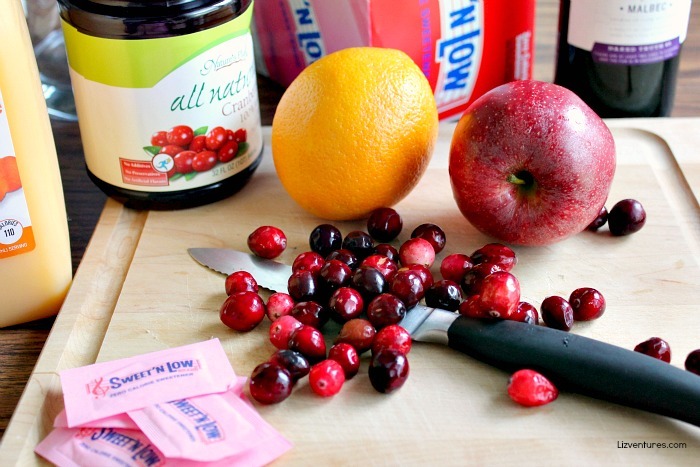 I love making sangria and the cranberry makes a perfect Thanksgiving flavor! Thank you so much for this diabetic friendly drink. I would not have thought to use a zero calorie sweetener in a wine drink. Sangria, yes! I am pre-diabetic due to PCOS so I can understand and appreciate this, too! Best wishes for you this holiday season. This looks just wonderful! I’m going to save this to make Christmas Eve! Cranberry sangria for Thanksgiving? Why didn’t i think of this perfect pairing before! YUM! My sister and I both LOVE sangria! I am going to talk to her about making this for Thanksgiving. Gotta have the cranberries… why not as a drink? This is just what we need for Thanksgiving. This is just so festive and I’m sure it tastes super good too. That looks so festive and refreshing! I am a huge fan of sangria. I think it is my favorite alcoholic drink. This looks erally yummy, I love cranberry flavored stuff so I bet this sangria would be a fabulous taste for me. I’m loving cranberries right now. These look just scrumptious, don’t they?!?! This really looks delicious! Printing it right now. Can’t wait to try it. That looks so pretty & festive. I love cranberries! I love cranberries, too. This looks delicious and refreshing. I haven’t made this recipe of yours but I’m glad I came across with it. There’s something that I can try to make soon. Thanks! Oh wow, I love the holiday flavors this has in it! How absolutely delightful and perfect for Thanksgiving! I would have never though to put cranberries in Sangria! It looks festive and tasty! I really want to try this. I need this for Holiday season. Cranberries are super delicious and I know my family (who are of age) would enjoy drinking this. What a great holiday drink. That is so fancy and festive!!! I am going to have to try this. That looks so pretty & festive. I wonder if I could try the mocktail version of this. I don’t want to miss out on the flavors! Maybe if I drank this I would cook better lol. In all seriousness, I love a good glass of sangria and the cranberry addition is right up my alley! Doesn’t that look lovely and sound delicious! I would definitely like to sip on a glass at my next holiday party! This sounds so good! I love cranberries so much. You can only get them around Thanksgiving and Christmas. I stock up, and put some in the freezer to eat them year round. Yummm…this sounds very tasty. This woudl be perfect for me to bring to my sister-in-laws party after the holidays. Wow, that looks amazing! I love your pictures! I adore the flavor combo of cranberry and orange. this sounds so good! Oh my goodness this looks amazing! I would have never thought of adding cranberries into the mix. My sister loves to make sangria for the holidays, I will pass this on in case she is looking for one without sugar. That sangria looks pretty delicious. I don’t think I have ever had it with cranberries before! I’m pretty sure I am going to be making this for our family gathering. I can’t wait to try your recipe! Sangria is my favorite! It sounds and tastes like holidays! Loooove it! This does look really refreshing. I’ve never made a sangria before. I might try this one. I love cranberries! We were just talking about needing a good sangria for Thanksgiving too. This would be so refreshing and perfect fo the holidays. I love that it is a lower calorie option. I love mixing cranberry juice with liquor. So tasty. Sangria makes the perfect holiday drink. That looks wickedly refreshing! And it’s not that complicated to do! I’d love a glass right now. This sounds and looks so good. It would be a great addition to our Thanksgiving events. That looks like a nice refrshing drink. Perfect for Thanksgiving! I love drinking sangria on occasion. I’ve never had cranberries in sangria before, but it sounds delicious. This looks super yummy and so festive. I don’t drink wine, but this looks good. I will recommend it to my sister as she enjoys wine. I think my guests would be very pleased if i served this on Thanksgiving. It looks delicious. I haven’t tried it, it looks so yummy and refreshing. I’m gonna try to make it. Sign me up for this! Sangria is my favorite!!! This flavor combo sounds delicious! I absolutely adore a good sangria, and since so many of my family members do as well, this cocktail would be perfect for our holiday gatherings. This looks so good. I’ve never had Sangria before, I’m not sure I’d like it but I LOVE cranberries. So good, So I’d love to give this a try! This sounds amazing I love cranberries ! You had me at Sangria! I never thought of using cranberries but I love that. What a great refreshing holiday drink! I am so pinning this. I don’t take alcohol, but I’d like to have a mocktail version of this! I love different Sangrias, but never thought about a cranberry version! This will be perfect to serve with Thanksgiving dinner! I can’t wait to try this recipe for the holidays! Thanks for sharing! This sounds great, I’ll have to share the recipe with a friend who is crazy for wine. While I’m not a wine fine, I’d definitely give this a try. I don’t drink either, but I would definitely make this sangria for holiday parties for my guests. I’ll take a glass! I love sangria.. so delicious and refreshing! Adding this to our Christmas eve dinner 🙂 The hubby is going to love it. My friends LOVE Malbec, but I haven’t given it a good try. This would be a good excuse! Red sangria is perfectly matched with orange slices! This is the second time that I saw a post for Sangria. I think I will take this as a sign that I need to make it! This looks SO good! That sounds delicious! And it definitely makes a festive Thanksgiving drink! I love wine and cranberries, so I am definitely trying this recipe! Definitely a great compliment to Thanksgiving dinner. 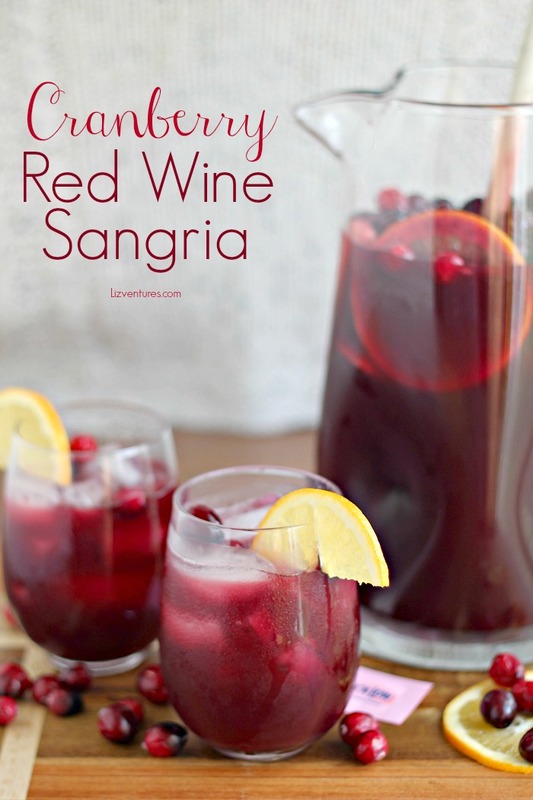 I love sangria, but never thought about making a cranberry one! I also think cranberries are the true star of Thanksgiving and this sangria will be joining our holiday dinner. This looks amazing. Lately I’ve really been drinking about a glass of wine a day and this looks great to help mix things up! WOW. My husband would love this. He’s such a sangria fan and often makes it himself. He also loves cranberry juice. Not sure why he hasn’t made something like this yet! I always associate sangria with summer and warm weather. This is the perfect recipe for bringing it into the fall season! This sounds like a great drink. I will make this for my Thanksgiving gathering with the girls. Cranberries are such a festive fall food! This sound perfect for just about any fall or winter celebration. I agree! Cranberries are the perfect festive food. I bet they are splendid added to Sangria. What a creative drink idea! I love how festive it looks with the cranberries in it! I cant drink wine. I would make this just for the fruits. That Sangria is calling my name! I know exactly what the adults are going to be drinking at the Christmas table this year. Sangria is my favorite type of drink. You just can’t beat that fruity flavor. I love using cranberry for a holiday feel. That looks like the kind of cocktail I’d like after a day in the kitchen cooking and cleaning after Thanksgiving. Yum! That sounds delicious! I would love to make some soon to try it out myself. Thanks for sharing! I love a good Sangria. I think cranberry is an excellent choice. The tart is a perfect contrast. This looks so yummy! Definitely getting made. That looks sooo good! I love sangrias. I can’t wait to wow my guests with this. This looks refreshing and delicious. I will be doing this on Thanksgiving. The Sangria looks really yummy. I can’t wait to try this. This is a beverage I’d totally expect to see at my brother’s house at a party. They’re always so creative with drinks and foods. I’ll have to share this with him and his wife to see if they’d bring it to mom’s Christmas party in a couple of weeks! Let the delicious festivities begin! I love Sangria!! I would never think of making it with cranberries! What a great holiday drink. I have only recently discovered that I actually like cranberries. I have never had any kind of sangria, but this looks wlike it tastes wonderful! That looks really good! Sweet and refreshing! Omg! This looks delicious! I will be making this for the holidays! Thanks for sharing! I have never made sangria before but it always looks so delicious! I think I’m going to have to try making this for my Christmas party! Haha, you sure have. It’s the best cocktail out there. My son makes Sangria, I will need to show him this for when he visits for Thanksgiving. Looks fabulous. Yes, yes, yes, a million times YES! I need this in my life. Umm, pass that ova here please. Looks perfect for the holidays. I love cranberries! That sounds so good.